Transform the way you cook. Learn to cook from the world’s best chefs with 600+ video lessons and dozens of online cooking classes. Chefs like Daniel Boulud, Vivian Howard, Rick Bayless, Nancy Silverton and many more make Panna a must-have tool for any serious home cook. Bake bread like a master, cook up authentic Italian dishes from Rome, or dive into Mexican street food with Panna’s in-depth classes. Step-by-step video lessons paired with written recipes make it fun and easy to learn new techniques and cuisines. You’re not going to find any amateurs here: our impressive roster of chefs consists of top-notch pros like Andrew Zimmern, Sean Brock, Stephanie Izard, Dorie Greenspan, Melissa Clark, and many more. Panna is here to help you close the gap between home cook and master chef. If you want to move beyond YouTube clips and hands-and-pans fare, then Panna is for you. Now that you know all that Panna has to offer, give us a try! · Learn how to cook by watching the world’s best chefs, including Daniel Boulud, Rick Bayless, Nancy Silverton, and dozens more. Our 600+ step-by-step video recipes and cooking classes will take your kitchen skills to new levels! 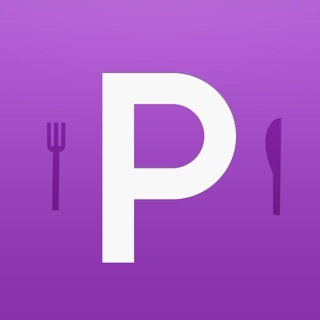 We’ve served up some amazing food with this innovative and elegant cooking app. Panna’s wonderful recipes and easy-to-follow videos (from renowned chefs like Rick Bayless, Nancy Silverton, and Jonathan Waxman) make it the perfect blend of cookbook and instructive master class. Snickerdoodles, lamb chops, veggie chili—we always find the right dish for any occasion. I have really enjoyed watching the videos. I learn things that are not in the recipe by watching and listening to the chefs. If you are not interested in learning this is not for you. It's not just about the recipes, that you can get anywhere. It's about watching, listening, learning, and trying yourself. Don't be afraid to take what you see and modify it. I read a low review by somebody that claimed the recipes were too salty. The most important part about cooking is tasting. Any good chef will taste and decide if it needs more salt before adding. So it's not perfect, you have to do you own tasting. If it's too salty, blame yourself. This app is fine. I'm only interested in a minority of recipes, but that turns out to be quite a few. The videos is what sets it apart. If you need help with technique, this is the place. My problem is that they lost my subscription and I had to pay a second time to get many of my favorite,recipes back. I tried to contact Panna as well as the Apple Store. But no one was there to help. I don't like getting ripped off, and I am always suspicious that some day they will delete my account again. Judging from the other reviews, I'm not the only one that has had account issues. Too bad. © How 2 Media, LLC.